Asking for an apology is an immoral response to anti-Semitism because it’s designed to allow the anti-Semite to move past her offense. In the public sphere, these apologies become a licensing fee paid by people like Omar every time they want to sound off about the evil Jews. She “apologizes,” people praise her willingness to learn and grow, and the headlines shift from her offense to the hysterics who won’t let her be. The only ones who benefit here are the bigots and their allies. 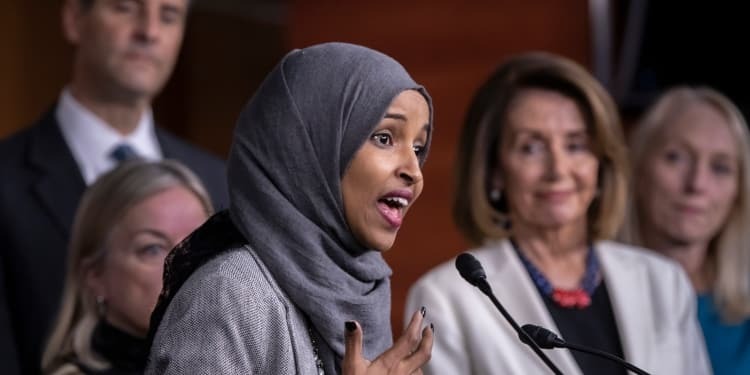 In the case of Omar, those allies are either her fellow Democrats trying to do damage control or anti-Semites who are thrilled to see one of their own successfully playing the game. Then there are those who aren’t her allies but still encourage and seem heartened by these apologies. These are good people, some of them Jews and conservatives, who want to believe that the real problem is Omar’s lack of knowledge and that it can be addressed through greater “dialogue.” They see in her semi-apologies evidence of an upright and amenable character. This is a nice thought but, as Martin Luther King wrote, “shallow understanding from people of good will is more frustrating than absolute misunderstanding from people of ill will.” These decent people make claims about Omar’s willingness to grow and change despite all evidence to the contrary.